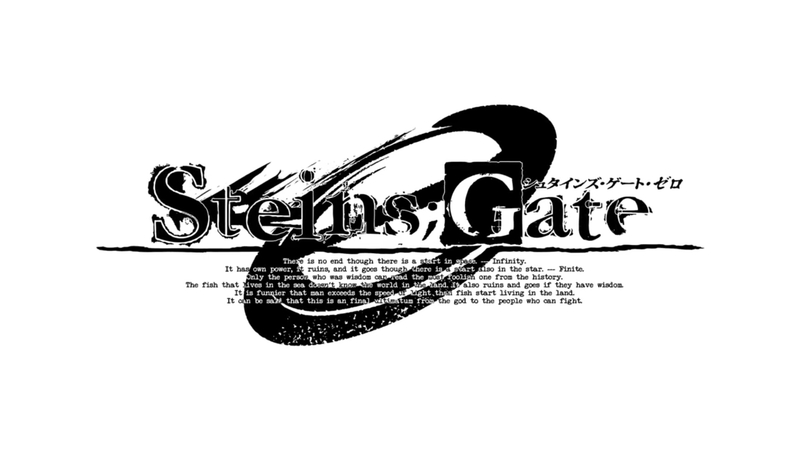 An official sequel to the popular visual novel and anime series Steins;Gate has been announced by developer 5pb. Known as Steins;Gate 0, the story is set after events that took place in the Beta world line of the light novel, Steins;Gate: Epigraph of the Closed Curve. There have been various spin-off titles and even some light novels and drama CDs that have expanded the story from the original visual novel. Steins;Gate 0, though, will not simply be an adaptation of the sequel stories that take place in the light novels and drama CDs, but rather a fully-fledged sequel that utilizes those other sources as “roots.” Though no platforms for the title were announced, an anime adaptation is planned for the future. The game’s staff sees a return of Chiyomaru Shikura as the head of planning and the author of the work. Shikura was the one who made the announcement via a live TwitCasting presentation earlier today. Also returning are producer Tatsuya Matsubara, character designer Huke, and composer Takeshi Abo, all of whom worked on the original Steins;Gate. North Americans have been fortunate enough to receive a physical version of the visual novel on PC from JAST USA, and English-speakers are also to be receiving a version on PS3 come May, though so far only the PAL version has been revealed for pre-order. Hopefully these releases will allow Steins;Gate 0 to be localized sooner than usual.